I learned, from one of people I ride the train with, what it’s like to be fitted with prosthetic eyes. The man had his eyes removed when he was young. First thing I learned, they didn’t remove his entire eye, in fact there are a few ways this is done, in his case they just removed the front part- to be honest I’m not sure what that looks like and I didn’t want to stop him to ask. 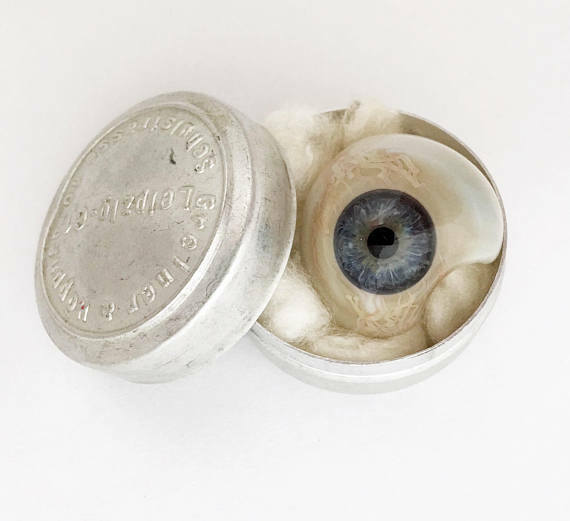 When they created the mold for his glass eyes, he said he could feel them put whatever it is they used ( I think he said they used some kind of wax, could be wrong ) into his sockets. He said it didn’t hurt, but it felt weird. I’ve been turning this conversation over in my head because people were actually asking him good questions- and he was great at telling us little stories in reply. Plus, when he talked he actually painted images you could see which I found the most interesting part of this experience. As a writer, I was fascinated by the idea that a man who is blind could paint pictures with words.